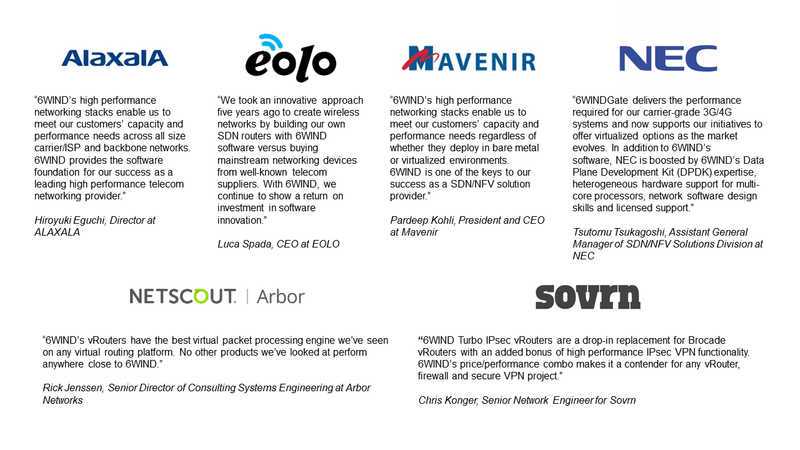 6WIND is a software company with a focus on high performance networking. We believe that the future of networking is software on commodity servers and we’ve been helping to give customers their independence from expensive networking hardware for over a decade. 6WIND is the market leader in high performance vRouters, or virtual routers. Our mission is to give Service Providers and Enterprise customers a software alternative to expensive hardware routers, security gateways, and other proprietary networking equipment. We provide the performance required to run routing and security in our software on white box servers. We focus on four vRouter solutions that cover the main use cases: Routing, Security, Hypervisor Acceleration and Build-Your-Own. We have Service Provider, Enterprise and Network Equipment Provider customers who leverage 6WIND’s products for each of these use cases. 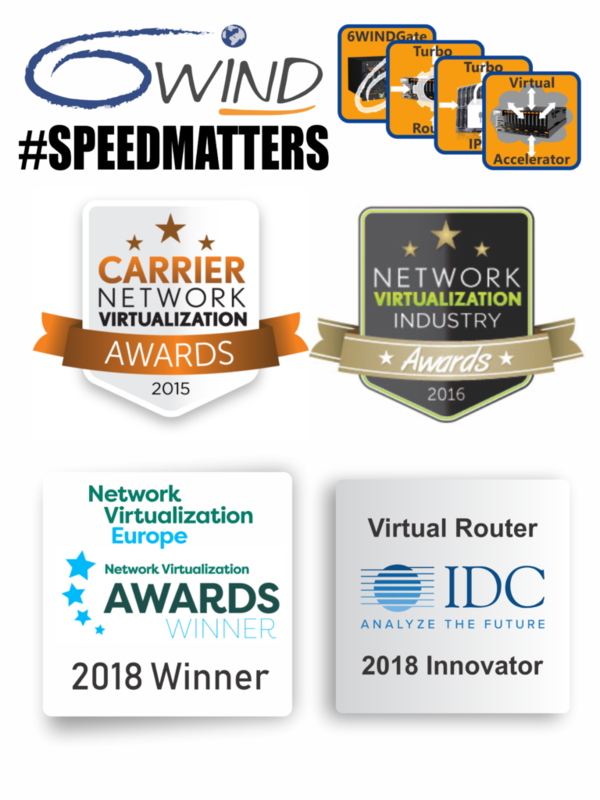 Named an IDC Innovator for Virtual Routers in 2018 for a variety of deployment options suitable for high performance use cases. 15 years of deployment by Blue Chip companies to unlock hidden infrastructure performance. Independent software vendor with the only heterogeneous networking stack to support major market-leading hardware and software platforms. Founders of DPDK.org, the industry standard networking foundation for high performance software applications on commodity hardware. Headquartered in France, with offices in the US and China. Privately held with investment by Cisco.